2010 Ice Road Challenge - Successfully accomplished! 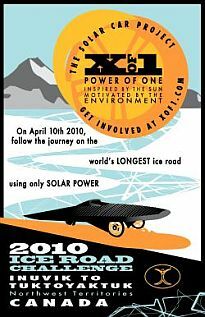 On April 10th, 2010 The Power of One (XOF1), solar car project took on the greatest challenge on the planet for any electric vehicle or any solar car; the longest continuous ice road in the world, where man and machine were pushed to their physical limits. 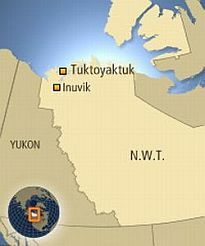 The Ice Challenge took place on the seasonal ice road running between Inuvik and Tuktoyaktuk, Northwest Territories, Canada, covering 187km (116 miles) over the frozen Mackenzie River and Arctic Ocean. We want to thank CBC - The National, CTV - Canada AM, Discovery Channel - Daily planet and all the media outlets, TV, radio and newspapers across Canada and as far away as Australia that reported on us. The 2010 Ice Challenge was well documented in a 12 minute program that was broadcast during primetime across Canada by CBC TV. 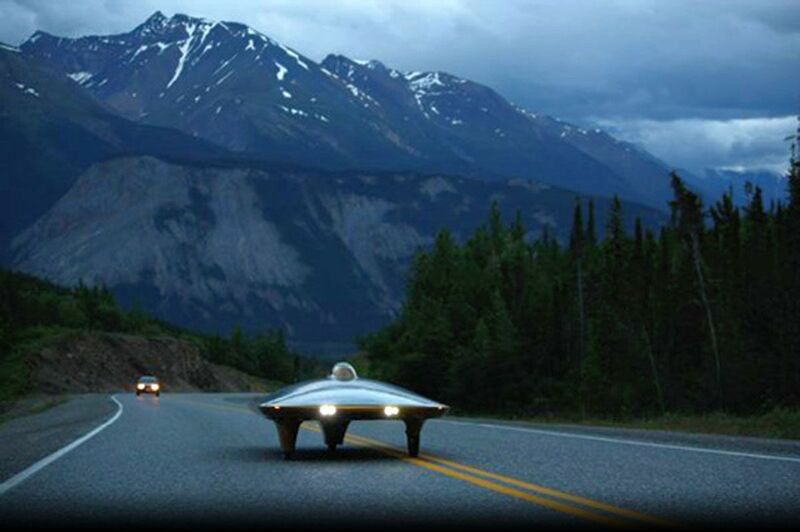 While taking on the greatest challenge on the planet for a solar powered electric vehicle, the XOF1 project has been committed to education and the promotion of clean and sustainable energy. Throughout the solar car's travels, the XOF1 team has given back to the community by performing presentations at schools and encouraging kids to learn about the project, sustainability and to follow their dreams.